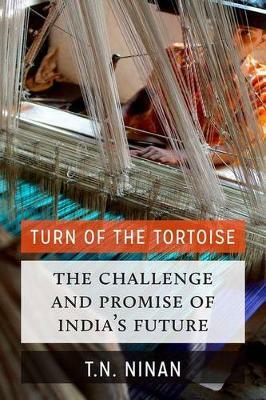 In The Turn of the Tortoise, T N Ninan explores the paradox of a "premature superpower" (as Martin Wolf once described India in the Financial Times). India has grown from the 12th largest economy in 2008 to what IMF reckons is the 7th largest in 2015, even as its people are poorer than those in Laos and Sudan. Ninan assesses India's position as a natural counter-weight to China, though fundamentally different from that country and overshadowed by it in an unequal military balance and in the contest for influence in a region that stretches beyond Asia to Africa. And finally, Ninan looks at how the third-largest contributor to global economic growth remains troubled by slow economic reform and the poor standards of governance that make it a difficult place in which to do business.The author considers the social, economic and political forces that helped the rise of Prime Minister Narendra Modi, and the risks of constitutional liberalism yielding space to an illiberal democracy. He views the role of Indian business conglomerates as double-edged, and reviews India's stance and role in global trade and climate change negotiations.This work uses data extensively to support analysis, even as it tells stories of hope and frustration within a framework of qualified optimism. The brisk and engaging style of an expert wordsmith will appeal to anyone interested in the new "Asian Drama": the tension with China, the "arc of friendship" that brings closer the region's largest democracies (Japan, Australia and India), and the many facets of the new energy in Indo-US relations. If you want to make sense of a complex country that encompasses "a universe of realities," this is the book you've been waiting for.